All this week, we’re presenting the Vulture TV Awards, honoring the best in television from the past year. 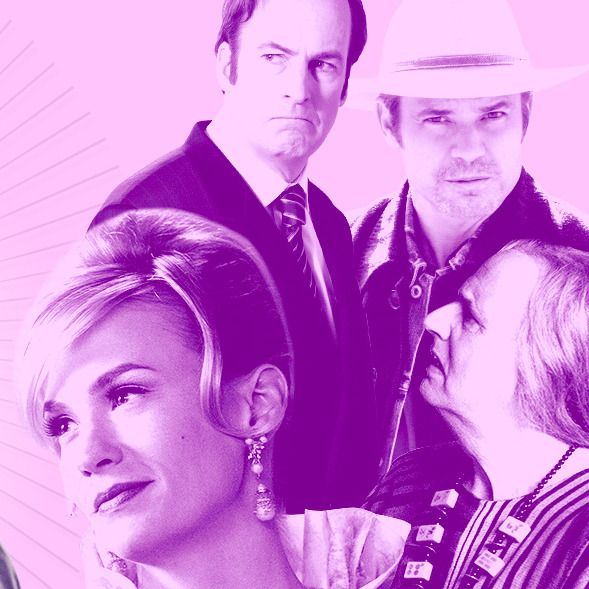 How many years in a row will The Americans top lists of the “Best Dramas You’re Not Watching?” As long as it’s on FX, probably — and no matter how long it runs, the writers, actors, and filmmakers involved in its production should take it as a compliment. The Americans’ commitment to its dramatic mission is so uncompromising that the show’s heroine, Elizabeth Jennings (Keri Russell), a warrior for Mother Russia, would approve of it. Created by Joe Weisberg and co-executive-produced by him and Joel Fields, the series is subtle and quiet and often works in a minor key; it never had the extravagant visuals and grandiose cultural aspirations of, say, Mad Men, this summer’s Vulture TV Award–winner for Best Show, a series which, at its best, combined the exhaustive invention of a John Dos Passos novel and the ebullient showmanship of a fireworks display. And yet, week in and week out, no U.S. drama is more exactingly calibrated than this blue-gray chamber piece about Soviet infiltrators posing as suburban American travel agents. Every scene, line, cut, and performance moment reinforces the characters’ emotional journeys within the episode and the season. And the journey is ultimately tragic, because Elizabeth, her husband Philip (Matthew Rhys), FBI agent Stan Beeman (Noah Emmerich), and most of the other major characters are working in jobs and living out lives that are shaped largely by various forms of ideology and propaganda, and serving masters who are obsessed with replicating those worldviews without question. They seem to have little or no self-awareness, save for what little they glean in the show’s self-help groups. Every now and then you get a spectacular one-off action sequence, like the one at the end of “Walter Taffet,” or a GIF-packed squirm-inducer like the scene where Philip yanks out Elizabeth’s shattered tooth. But these scenes are exceptions. The Americans is more often concerned with the lies that characters tell each other and themselves, and the agony that results when the deception is finally revealed, as it was in the devastating “Stingers,” possibly the most perfect hour of TV I watched in the last 12 months. Whenever I write about The Americans, I always end up comparing it to architecture and carpentry rather than fine art, because when I think about the totality of the series, I picture blueprints being drawn up, and pieces of material being cut and sanded and bolted or fitted together. This, too, sounds diminishing — the phrase fine art is somewhat diminishing in itself, when you think about all the other kinds of creative expression that implicitly aren’t as “fine” as painting or sculpture — but perhaps less so if you imagine the most elegant and imaginative end product: not an Ikea chair but a Chippendale; not a prefab McMansion but Fallingwater.